"It was absolutely incredible...everybody was quite amazed by what he was telling us." 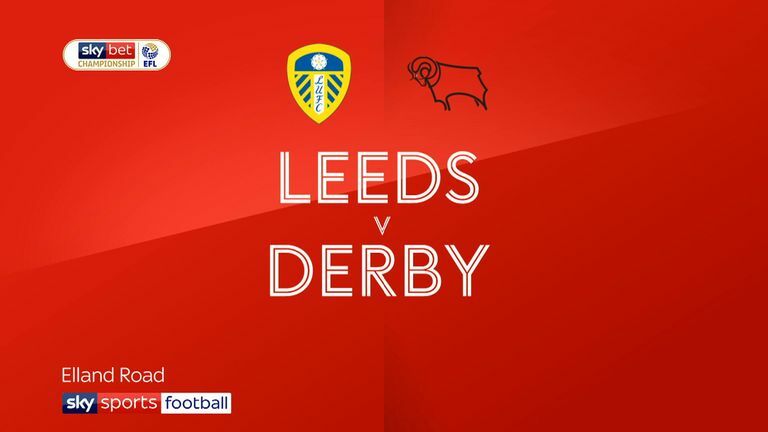 Leeds head coach Marcelo Bielsa held a remarkable press conference on Wednesday evening as he detailed his tactics in an hour-long PowerPoint presentation to journalists and admitted his coaching staff have watched training sessions of all their opponents before playing them this season, as they did against Derby last week. The press conference had been announced by Leeds earlier in the day without any clue as to the purpose of it. "We didn't know what to expect today when we arrived. Marcelo Bielsa has called a briefing but we were not sure what to expect. It was absolutely incredible. He spoke with great knowledge, great passion. "We go to press conferences every week in this job and this is something you never see. He gave us an incredible amount of detail about the amount of preparation that goes into each game. "Everybody in the room was looking at each other, almost in amazement. It was a tactical masterclass from Bielsa. 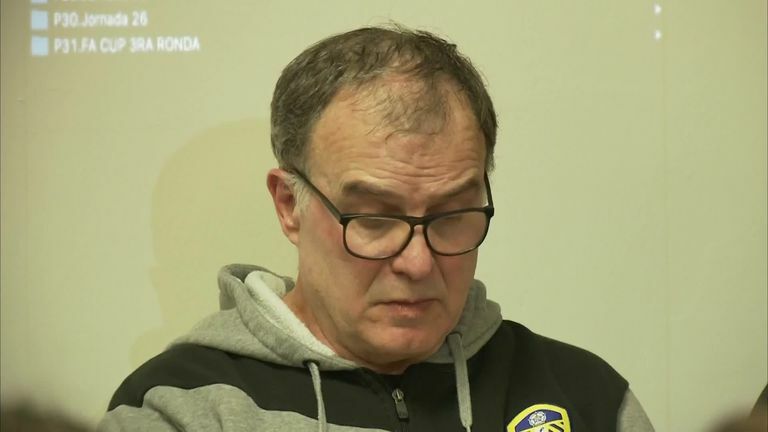 The level of detail that he went into and the amount of time that he must have spent preparing the presentation for us today…and then he talked in detail about what he does for each opponent that Leeds play. "He told us that he and his team watched all of Derby County's 51 games last season, so he broke it down into Derby in this instance, and was calling out into the room 'pick a game, pick a game' and they were all numbered on the wall chart that he had. He would then go into a game and would break it down into different sections. He gave an example of when he managed in Spain against Barcelona and his side lost and then he was talking to Pep Guardiola after the game and he said 'you know more about my side than I do'. "There were colour charts illustrating different cycles in the season for the teams and then he would break it down into set-pieces and who should mark who. "He also said that from their perspective they had to make 10 to 15-minute clips for the players because that was their attention span when it came to these details. What he was trying to highlight was that they put so much preparation into each game that it's almost an insult to suggest that by watching a training session they gain an unfair advantage. "He talked about 360 hours of research, four hours of analysis on each game from last season. This is an incredible level of preparation for each opponent and he made the point that watching training nobody could tell him anything he didn't already know. "It was almost as though he did it because he felt he needed to be as prepared as possible. He didn't gain an advantage from it, but he felt he needed that information. "He also gave an example towards the end of when he managed in Spain against Barcelona and his side lost and then he was talking to Pep Guardiola after the game and he said 'you know more about my side than I do'. "He closed it by saying he was stupid because he didn't need all this information and then he got up and walked off."